Sleep is the fourth aspect of the Guide to Health. Sleep is essential to health. It is the time when the body heals, repairs and recovers from the stresses of the day. Getting adequate sleep is associated with better overall health and vitality. It decreases the rate of aging and improves mental and cognitive function. It is also associated with decreased weight gain and a decreased risk of chronic disease and cancer. Yet, in our society, sleep is often viewed as a waste of time. There are so many other things that people would rather do than sleep. To add to the problem, the more a person has poor sleep habits, the more difficult it is achieve adequate restful sleep. There are a number of reasons why people have disrupted sleep or insomnia. The reasons include: pain, anxiety or worry, poor sleep hygiene, poor sleep environment, dietary factors, smoking, specific health conditions and others. Sleep apnea, for example, is often associated with food intolerances. By identifying and removing the offending foods, you can often resolve the sleep apnea and achieve a more restful and healthier sleep. Do you feel wide awake or are you drowsy? Do you wake up thinking of something? Do you feel uncomfortable? Are you too hot or cold? Are there any sounds or lights that are bothering you? Do you have to go to the bathroom? How long does it take you to fall back asleep? What did you eat or drink that day? How you started any new medications or supplements? What was going on in your life? Finding the right solution to any sleep concern starts with really understanding what is causing the problem. Working with a naturopathic doctor is generally the best initial step. Your naturopathic doctor will often be able to assist you in figuring out the cause of your sleep problems and prevent you from relying on sleeping pills. Natural sleep follows the circadian rhythm. There is a time, generally between 9 p.m. and 11 p.m., that the body is programmed to go to sleep. Staying in sync with the circadian rhythm not only improves sleep, but it is associated with better hormone balance and enhanced overall health. The sleep that you have before midnight has increased health benefits. As much as possible, plan to be asleep before 11 p.m. If you are night-owl, I encourage you to gradually move your sleep time to before midnight. If you find that you tend to be wide-awake in the evening, request a 4-point saliva test to see if your cortisol is too high. In the evening melatonin, the sleep hormone, rises which is responsible for inducing sleep. At the same time cortisol, the stress hormone and the hormone that is responsible for waking you up, should be a low level. If your cortisol level is too high, you will feel awake versus sleepy. Shift work has been associated with a number of health concerns. If you happen to work shifts, it is best to try and be on the same shift as much as possible. The constant change in shifts tends to be more disruptive to health than shift work itself. Read more about Sleep Work Disorder and Circadian Rhythm Disorders. Overall, the goal is to have as consistent a sleep schedule as possible. The more that the body can get into a sleep rhythm, the better. One of the most common reasons why people wake up in the middle of the night, especially between 3 a.m. and 5 a.m., is because their nervous system is overstimulated. Food stimulates include coffee, tea, chocolate, alcohol, sugar and even fruit. Other things that stimulate the body include intense exercise and excessive worry. Limit coffee and tea to one in the morning and avoid the consumption of other stimulants after 3 p.m. High cardio workouts are generally best in the morning or early afternoon. The best type of workouts in the evening include stretching, yoga and gentle walking. If you think that worry or an active mind are waking you up, work with your naturopathic doctor to figure out strategies that work for you. The body's tolerance for stimulants changes with age. For many people, their tolerance is the lowest in their 40's and early 50's. 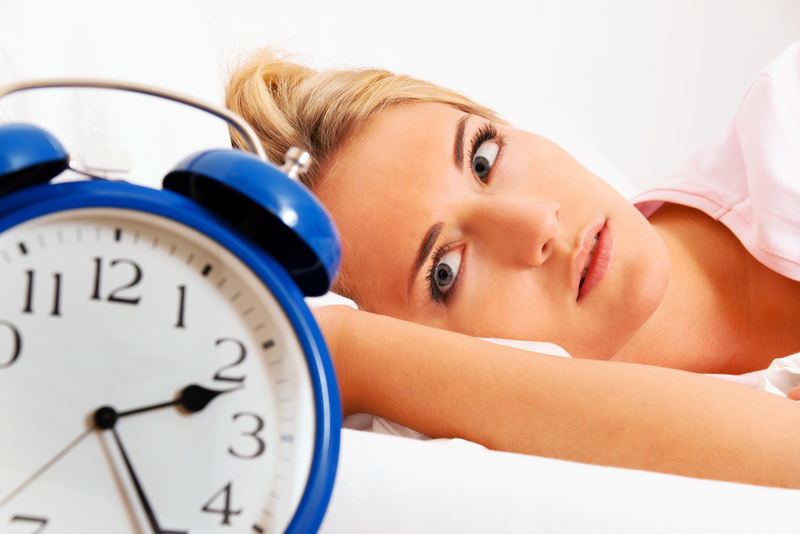 Perimenopause and andropause are a common time for insomnia and sleep problems to start. It is also an important time to ensure adequate sleep. Dietary and lifestyle changes are often necessary during this time of life. Ideally you want to stop eating two to three hours before you go to sleep. Eating too close to bed time not only can disrupt sleep, it also impacts your ability to properly digest your food. Snacking after dinner is also a problem for some people. Late night snacking has a number of health impacts - it contributes to disrupted sleep, it is associated with increased weight gain and it impacts overall digestive function. On the other hand, going to sleep hungry can make it more difficult to fall asleep. Most people sleep better when they have an evening meal that is easy to digest and filling. Sleep is a time when the body is supposed to be relaxed and is focused on internal processes such as repair and recovery. If there are too many stimuli, including sound, light and extreme temperatures, the focus of the body is on processing the stimuli versus sleeping. Cellphones, televisions and anything wireless in a bedroom can also affect quality of sleep. For a number of health reasons, it is best to remove anything wireless from the bedroom. Most people find that they sleep better when they use their bedroom only for sleep and sexual activity. Avoid watching television, working on your computer or reading in the bedroom, as they generally have a more stimulating affect on the body. Sleep problems often impact the body's ability to recover or heal from other conditions. If you are having problems with sleep, work with your naturopathic doctor to determine the best approach to achieving restful sleep. As part of our Guide to Health Series, we will be offering weekly tweets and in-house seminars on each topic. If you are unable to attend our seminars, we will be providing video highlights of some of the seminars on our website. Follow us on twitter for weekly updates. If you have any questions about sleep that you would like us to address, please contact us at info@naturopathicfoundations.ca. Let us know if you are joining us on the Guide to Health Series by sending us an email or by hitting the "like" logo on our blog.